Cape Town - Computer company IBM and mobile network MTN have collaborated to create smart collars that they hope will help stop the poaching of rhinos in South Africa. While agents from U.S. Fish and Wildlife lured a smuggler to a storage facility in the Bronx with the promise of $400,000 US worth of illegal rhino horn as part of a sting operation, Sheldon Jordan readied his team to raid the man’s warehouse in B.C. Rhino horn will go on sale legally in South Africa in late August, after a court lifted a domestic trade ban in April. Many expect much of the horn to find its way to East Asia, even though South Africa remains committed to a worldwide ban on international trading. Over 300,000 children say ‘NO’ to rhino poaching! The Rhino Art campaign remains the most comprehensive children’s rhino conservation education programme ever undertaken. Its clear objective is to gather the LARGEST number of children’s hearts-and-minds messages as a call to action against rhino poaching and all forms of wildlife crime. 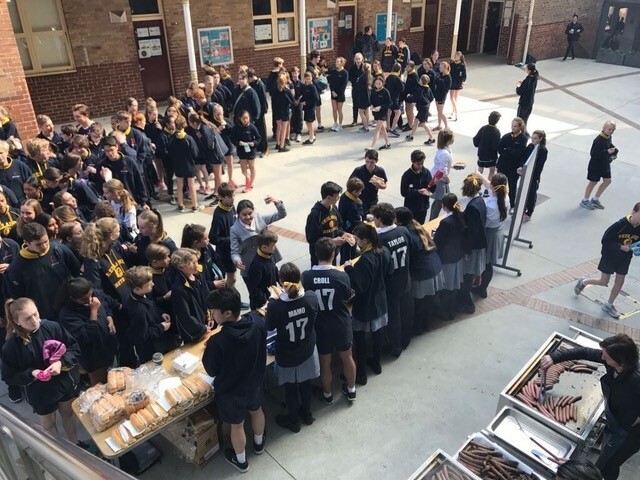 Redlands School in New South Wales, Australia has sent us an awesome donation of $1200! Another 4 Rhino Pride orphans are being adopted with these funds! Six Southern White Rhino Females Have Called San Diego Home Since 2015. Researchers brought them to the San Diego Zoo’s Institute for Conservation Research specifically to help save their close cousin, the northern white rhino. Only three of those animals are left alive, and none are capable of breeding. The Drakensberg Boys Choir Address Poaching in Chilling Performance! Ambassador Superheroes Bring 4 Adoptions! We are now supporting Rhino Pride Foundation. Our ambassadors from Dubai, Isaac and Eve, launched the sanctuary by bringing $1200 from their activities. This means that 4 baby rhinos have been adopted for one year. Bringing You Weather and Rhinos! 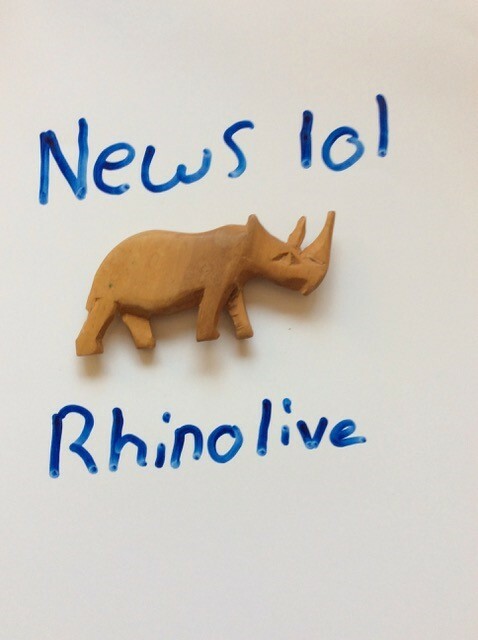 We are excited to launch RHINO LIVE: an international weather channel reporting on all things RHINO from our youngsters all over the world, who are ON FIRE FOR RHINOS! Watch this space for essential updates on weather and…. RHINOS! Puma Energy is so proud to support rhino conservation efforts through the air. We are fuelling Flying For Freedom South Africa and Rhino 911 helicopters to power rapid rhino rescue missions. Thanks to these heroic pilots and vets for saving, airlifting and nursing these magnificent animals that we love so much. If you haven’t heard of our art contest, then check it out! It provides a cool platform to produce art that will send a resounding NO to poaching around the world. The Rhinos Without Borders project has ensured a bright future for an additional 12 white rhino, which were recently airlifted to their safe new home in Botswana. They were removed from a high risk area in South Africa, where rhino are being poached at the rate of one every eight hours. Azaria (13), of Kids Against Poaching in South Africa, is passionate about raising money to help save rhinos from extinction. In her spare time, she paints beautiful artworks of rhinos with the message “Don’t be the generation that let rhinos become extinct”. Theo Vickers, 18, presented it to Dinosaur Isle Museum at Sandown to care for and put on display. Theo, who has just finished his A-levels and is off to study marine biology and oceanography at university in September, found the tooth of the rhino-like Ronzotherium washed up in sand on a beach in the Bouldnor formation clays on the coast between Yarmouth and Hamstead. 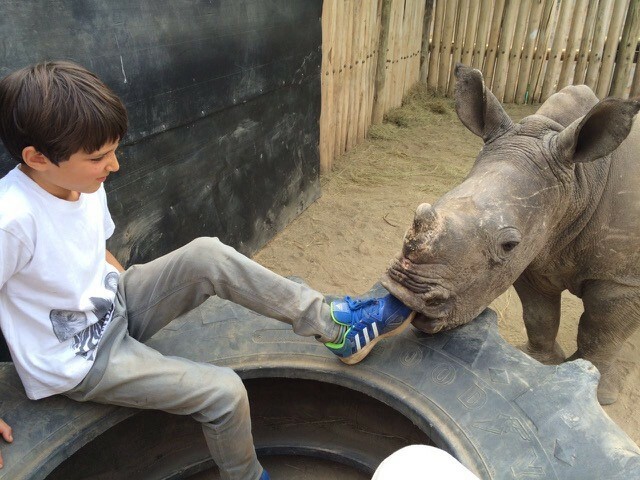 What have Baby Rhino Rescue and its youth ambassadors been up to? Their school year-end with a number of fun-filled activities aimed at making school kids into little activists!! At one international school in Dubai, in partnership with BRR, lots of learning about rhinos took place, led by the school’s very own student council. Kids in Dubai were recently involved in a 3 week rhino extravaganza during which they learned all they could about poaching. Part of the campaign involved writing letters to President Zuma (South Africa) about the rhino crisis. After selling Lem-Nade earlier this year to make sure baby rhinos got their milk for the day, Isaac, our youth ambassador said: "Be creative, You can do any activity you want. It takes $5 a day to feed a rhino. $5 is so little, anyone can do it”. We are thrilled to be partnering with The Crash to help save rhinos from extinction. The Crash are a South African based group of students who are passionate about protecting rhinos. A 10 year old makes Mail & Guardian’s Top 200 Young South Africans for Rhino Conservation! Hunter Mitchell started a Rhino Awareness Campaign that has been embraced across the globe, he has been named one of the Top 200 South Africans of 2017!